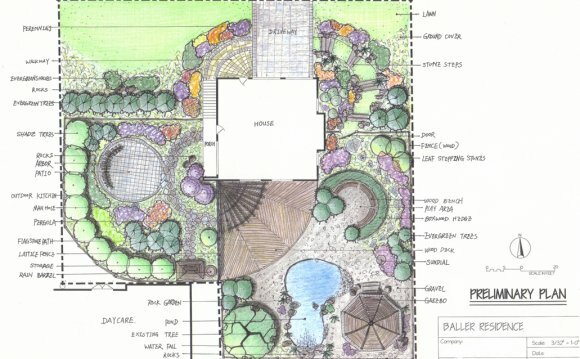 Two personalized consultations; an initial appointment to discuss ideas or preferences that you would like incorporated in your design (such as going over measurements and plant material) and a follow-up appointment to go over the completed design. A custom, computer generated design drawn to scale for ease of installation, which will incorporate your preferences with your desired lifestyle in mind. A $50 Wiegand’s Gift Card for a front yard or back yard landscape design or a $100 Wiegand’s Gift Card for a full front yard and back yard landscape design drawing. For the design process to be as efficient as possible, Ray Wiegand’s designers will need color photos of the area, a mortgage survey and measurements of anything permanent, such as walkways, driveways, utility boxes, etc., at your first consultation.